Please refer to our stock # 1-0955 when inquiring. 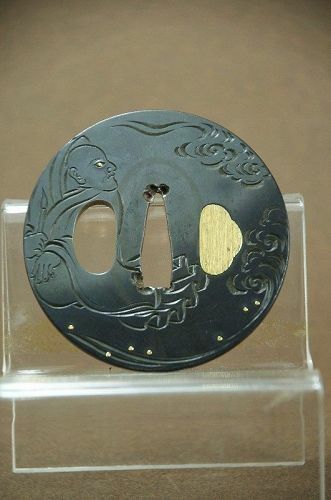 Shakudo Tsuba, Japan, Edo Period Samurai Sword Guard, Japan, Early Edo Per. Ivory Pair of Buttons, Japan, 19th C.